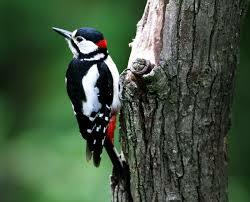 The loud call or distinctive ‘drumming’ display of the Greater Spotted Woodpecker, particularly in Spring, ensures that woodlands are not free of noise. If you were asked where the quietest place in Britain was, what would be your answer? You might say it all depends. Where there is least noise? 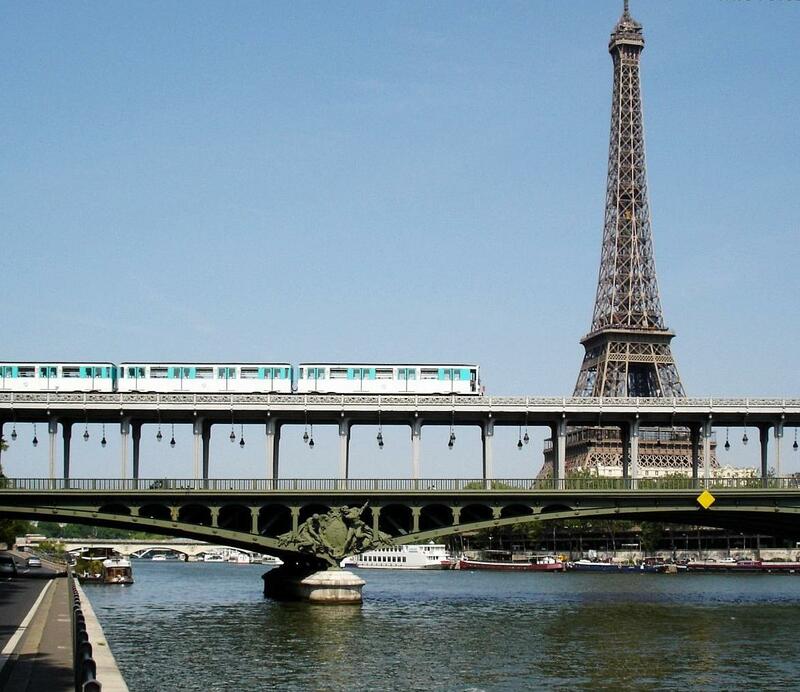 Where there are no sounds of human activity? Are caves or disused mines included? But what about the weather; it can be noisy anywhere. The wind, the rain, and storms. And the sea is not silent, with the slamming of the waves against the cliffs. Neither is wildlife quiet, especially the screeching and chirping of birds. If you allow for the sounds of nature and look for places far away from human activity, then there must be hundreds of places in the highlands of Scotland that would qualify, and the same goes for a lesser number of places in mid-Wales, RAF training flights allowing. No, the quietest place must be all about remoteness from the racket made by us humans, and that must include flight paths of civil aircraft. If the highlands of Scotland and much of mid-Wales are excepted, then finding the quietest spot in crowded England might be more of a challenge. 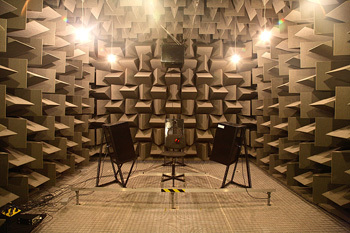 The anechoic chamber at the University of Salford, a room within a room built on rubber springs, is lined from floor to ceiling with soft foam wedges which absorb any vibrations in the air. The quietest place ought also to be somewhere that can be visited, that isn’t private or unduly dangerous. So the further reaches of the many cave systems or abandoned mines in Britain should be discounted. And deadly silent man-made places such as the University of Salford’s ‘anechoic’ chamber (meaning non-reflective of sound), which is so quiet that you can hear the sound of your blood circulating in your head, or the quiet room at the British Standard Institute laboratories in Hemel Hempstead, where apparently fire alarms are tested; these places surely don’t qualify. As a result of the survey, the CPRE in 2006 created a national tranquillity map based on the 500m by 500m squares, and they said that the most tranquil place in England was in the Kielder Forest in Northumberland. But the exact spot was kept secret, to keep it tranquil. You can download the tranquillity map here, and see what else the CPRE has to say about tranquil places here. However since then, Trevor Cox, Professor of Acoustics Engineering from the same Salford University, and a presenter of many popular science documentaries on television and radio, has gone to England’s most tranquil spot. The CPRE told Professor Cox which 500m by 500m square in the Kielder Forest had been identified as the spot, and he went there, trekking along forester’s tracks and wading through a mile and a half of peat bog. In January 2014, the most tranquil place in England was described as a hillock in the Kielder Mires, two hours walking distance from the nearest human settlement, a Victorian grouse shooting lodge, and ten miles from the village of Gisland. As well as its distance from human habitation, the distance of the place from flight paths, was a key factor in making it the most tranquil spot. 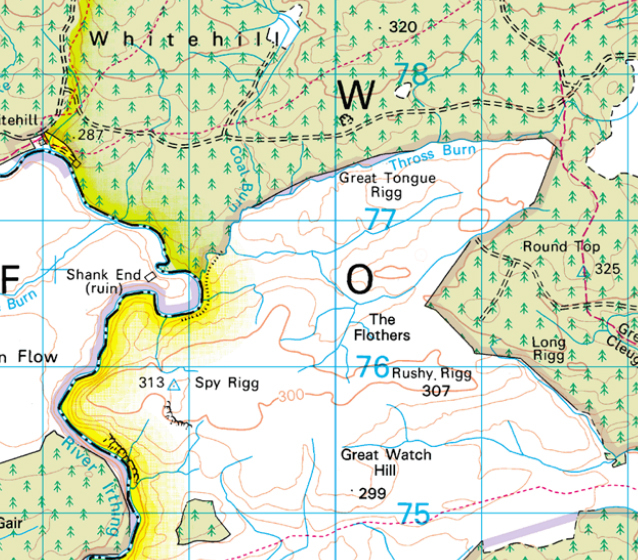 The Kielder Mires are formed of two deep peat mires known as Grain Heads Moss and Coom Rigg Moss. 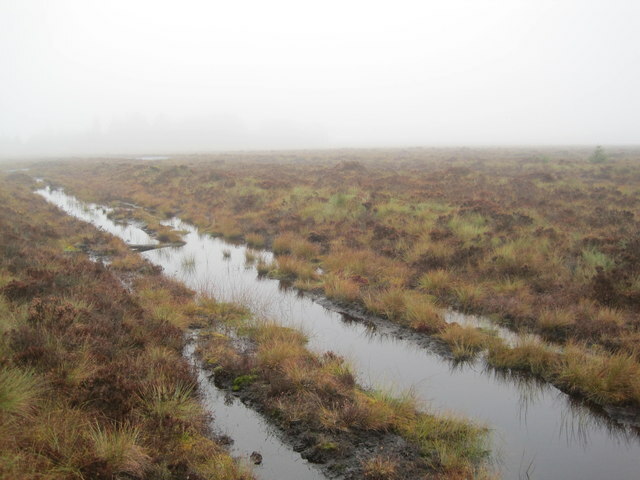 The mires are part of a collection of more than 50 recognised peat bodies known as the Border Mires which are mostly located within the boundaries of Kielder Forest. These blanket mires are rare globally, as they have been largely destroyed by plantations, drainage and grazing. The mires in Kielder are acidic, low-nutrient environments fed entirely by rain and provide refuge for rare species such as tall bog sedge, lichens and sphagnum mosses. Less is known about the natural fauna, although the area is rich in invertebrates and merlins, Britain’s smallest birds of prey, breed on the edge of the plantations. For these reasons the Kielder Mires been designated as a National Nature Reserves (NNR), a Special Areas of Conservation (SAC), and a Ramsar site, that is wetlands of international importance under the Ramsar Convention, an international treaty signed in 1971. So Professor Cox became the first person to knowingly visit this most peaceful spot, though humans must have struggled through the mires unknowingly many times over the last 10,000 or more years. Later, Cox wrote in his book Sonic Wonderland – A Scientific Odyssey of Sound, that ‘I had previously thought of asking the CPRE if I could publish the location of the quietest place, but I realised this would be a bad idea’. But in the 1950s, something was going on less than six miles away that had the potential to shatter the peace of the Kielder Mires. The Golden Globes and the BAFTAs are behind us, and the Academy Awards ceremony for the best films in 2014 will be held this Sunday 22 February. Leading with the way with the most nominations for an Oscar are Birdman and The Grand Budapest Hotel with nine nominations each, followed by The Imitation Game with eight nominations. I saw The Imitation Game and I thought it was a stirring and persuasive film, particularly its portrayal of the last few years of the life of wartime cryptanalyst Alan Turing following his prosecution in 1952 for homosexual acts, and his death from cyanide poisoning in 1954. However the statement in the film credits that the film was ‘based on the true story’ stretched the claim to the limits of its meaning. There were so many inaccuracies in the film, particularly those that served to exalt Alan Turing’s role in the Second World War to quite ridiculous heights – as if that should have been necessary considering his genius and pivotal role – that the film is a sad distortion of history. For the film to have received eight nominations, including that for best picture and best adapted screenplay, says a lot about the superficiality of our emotions and our disregard for the truth. The quote from Mark Twain ‘never let the truth get in the way of a good story, unless you can’t think of anything better’ is most apt, and The Imitation Game is a dashing good story. 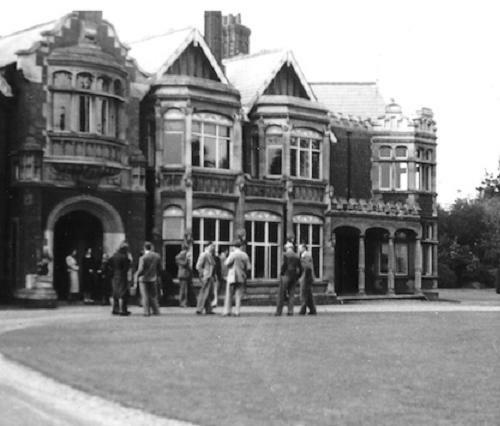 The arrival of ‘Captain Ridley’s Shooting Party’ at Bletchley Park in August 1938 was the cover for a visit by members of MI6 to see whether it would work as a wartime location, well away from London, for intelligence work by GC&CS. The Cambridge mathematician Alan Turing played a key role in the allied victory in the Second World War in the cracking of German radio messages, or signals, which had been enciphered using Enigma machines. 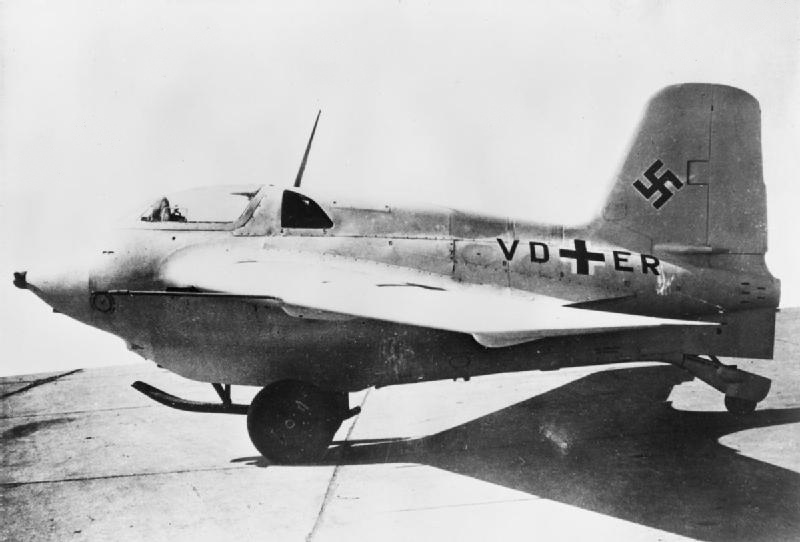 This decipherment yielded high-grade German military intelligence, dubbed Ultra, from ‘ultra secret’, which had a dramatic impact on the course and duration of the war. (Strictly speaking when one letter is substituted by another to make a message secret, it is a cipher, not a code, which is when letters or symbols are used to mean whole words or phrases. Therefore when codes or code breaking are spoken of it is usually ciphers and decipherment that are being referred to). Turing started working part-time at Bletchley Park near Milton Keynes in Buckinghamshire in September 1938. Bletchley Park was the central site during the war of the government’s secret code and cipher school (GC&CS). Every one of the 12,000 staff who had ever worked at some point at Bletchley Park had signed the Official Secrets Act, and the government continued to enforce their silence long after the war was over. This was mainly because Britain’s code-breaking success had to remain secret during the Cold War with the Soviet Union, but also because Enigma machines were still in use around the world and Britain wanted to be able to read this signals traffic. Therefore the relatives of the staff at Bletchley Park never knew more than that they had done some kind of secret war work, or were told a cover story about clerical or statistical work. Winston Churchill, Prime Minister of the United Kingdom during the war referred to the staff at Bletchley as ‘The geese that laid the golden eggs and never cackled’. It was only with the publication of Frederick Winterbotham’s book The Ultra Secret in 1974, some thirty years later, that the public began to learn of the secret of Bletchley Park. In 1936, Alan Turing (23 June 1912–7 June 1954) was a shy, eccentric student at Cambridge University, but he conceived in his ‘universal computing machine’ the basic principle of the modern computer, that is, controlling the machine’s operations by means of a program of coded instructions stored in the computer’s memory. 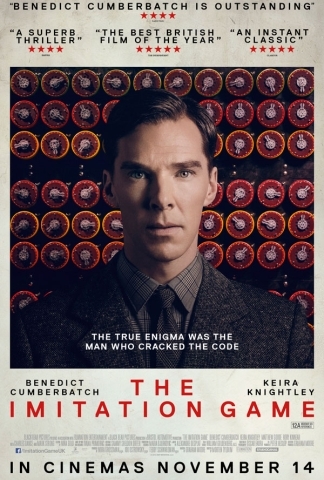 In the film, the Second World War has just broken out, and the British intelligence agency in September 1939 recruits Cambridge mathematician Alan Turing to join a team at Bletchley Park who are attempting to decipher Enigma messages sent by the German military, that cryptanalysts had thought unbreakable. Turing wants to build a machine to help crack the messages, but the head of Bletchley Park, Commander Alastair Denniston opposes this. Turing appeals to Winston Churchill for funding and is put in charge of the team. Turing sacks two members of the team, and recruits Joan Clarke, with whom he subsequently becomes engaged. Turing successfully builds the machine – which he names Christopher after one of his childhood friends – that deciphers the messages. 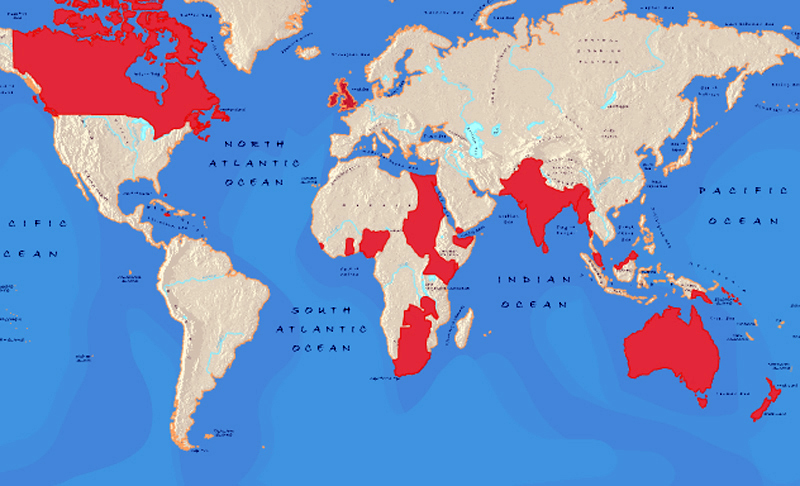 The deciphered messages, called Ultra, are used by the team to warn Britain’s armed forces of Germany’s detailed war plans, thus shortening the war. 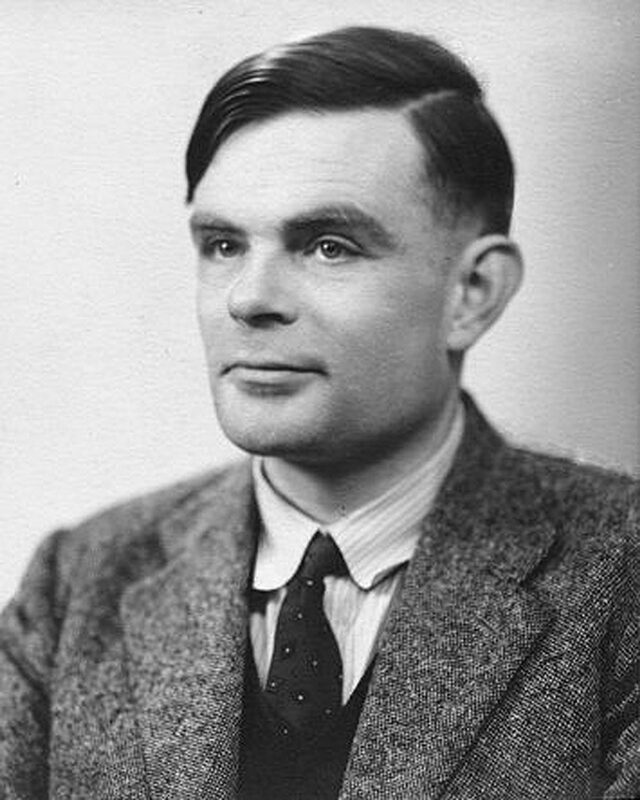 Some years after the war, Turing is prosecuted for indecency (at a time when homosexual acts were illegal) and he accepts chemical castration as an alternative to prison. He deteriorates physically and mentally with few people knowing of his crucial role. The screenplay was written by American screenwriter and author, Graham Moore and was said to be based on the 527 page biography Alan Turing: The Enigma by Andrew Hodges. The main characters in the film and the actors who played them are Alan Turing (Benedict Cumberbatch), Commander Alastair Denniston (Charles Dance), and the other members of the team, Hugh Alexander (Matthew Goode), John Cairncross (Allen Leech), Peter Hilton (Matthew Beard), Joan Clarke (Keira Knightley), and Jack Good (James Northcote). So what was wrong historically with the screenplay? Turing’s social difficulties – he is brusque, arrogant and narcissistic, he doesn’t understand jokes, he avoids eye contact – are exaggerated in the film to the point of depicting him as being on the autistic spectrum. While it is true that Turing had his share of eccentricities, Turing had friends and was viewed as having a sense of humour with good working relationships with colleagues. Like Turing, Gordon Welchman decrypted German messages, and they both worked on the re-design of the code-breaking machines called Bombes, but Welchman doesn’t appear in the film. Hugh Alexander plays Turing’s boss at the start of the film, though he never was in real life. Turing joined Bletchley Park in 1938 before the outbreak of war and Alexander didn’t arrive until 1940 as until then he was head of the John Lewis research department. A better counterpart to Turing would have been Gordon Welchman, who was in charge of Hut 6 at Bletchley Park breaking German army codes, when Turing was in charge of Hut 8 breaking German naval codes. 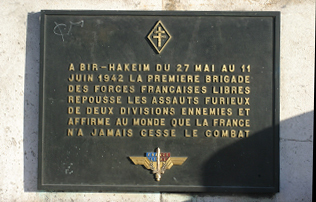 The two also worked together designing the code-breaking machines, called Bombes. 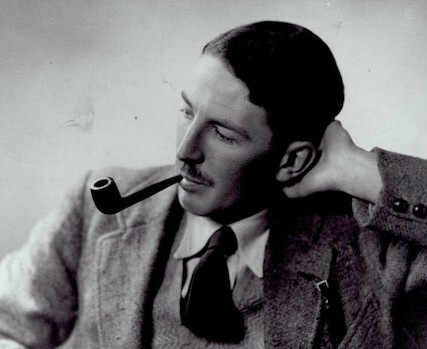 But Welchman doesn’t appear in the film perhaps because Turing would not then appear so pre-eminent. Turing did not get involved in organisational matters at Bletchley Park. Welchman was the man who realised the necessity of setting up staff into three shifts to handle intercepts 24 hours a day. Hugh Alexander eventually took over the running of Hut 8 from Turing, and eventually became head of cryptanalysis at Bletchley. Turing originally worked on the naval Enigma on his own and he does break it. He was joined by Tony Kendrick and Peter Twinn, who are not featured. Clarke, Alexander, Good and Hilton only joined later, in that order. 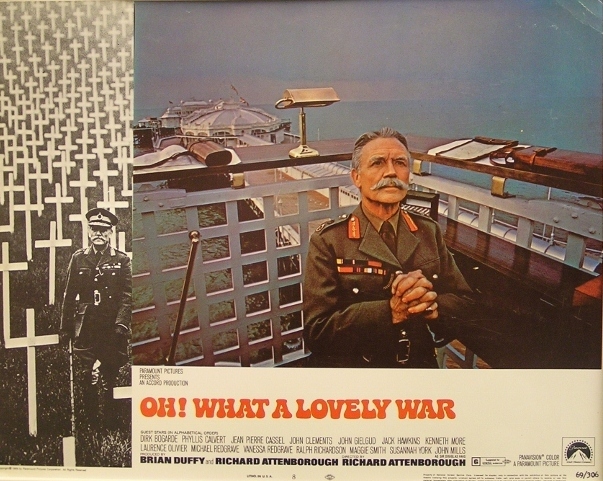 The film sets up Denniston, the operational head of Bletchley, as an antagonist to Turing, portraying him as an overbearing rigid officer bound by military thinking and eager to shut down the decryption machine when it failed to deliver results. Denniston’s grandchildren have said that the film takes an ‘unwarranted sideswipe’ at their grandfather in showing him as a ‘baddy’. He was a gentle man with a completely different temperament than the one portrayed in the film. There is no record of the film’s depicted interactions between Turing and Denniston. ‘Bob’s your uncle’ is a typically English phrase not heard that often these days. It’s something that you say after you have explained how to do something, to emphasize that it will be simple and successful eg. 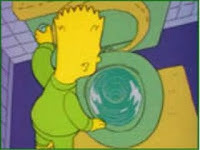 ‘You put the plug in here, press that switch, and Bob’s your uncle’ or ‘Just put on the stain remover, leave it for an hour and Bob’s your uncle, the stain’s gone’. There are a number of theories as to where it comes from, but no one is sure of its origin. Here are the most plausible three. 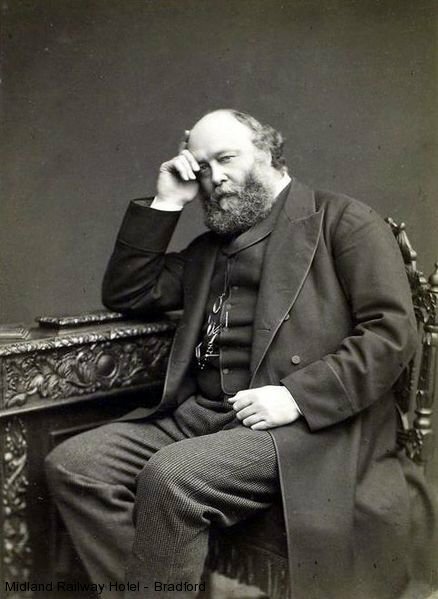 ‘Bob’s your uncle’ is often said to derive from the supposed nepotism of the 20th Prime Minister of Great Britain, Lord Salisbury – family name Robert Arthur Talbot Gascoyne-Cecil – who appointed a favourite nephew, Arthur Balfour, to several political posts in the 1880s. Balfour went on to become Prime Minister after his uncle, but his early political appointments were considered inappropriate as he had shown no prior interest in public work. Incidentally, by 1900, Salisbury’s cabinet was nicknamed ‘Hotel Cecil’ reflecting his aloofness and its aristocratic composition, a number of whom were relatives. Hence having an Uncle Bob was a passport to a good job. Since the very word nepotism derives from the Italian word for nephew, the association here seems more than apt. Unfortunately, the phrase isn’t recorded until at least the 1920s, and if public indignation at Lord Salisbury’s actions had been great enough to provoke creation of the saying, why didn’t it appear the newspapers, or in a satirical magazine of the time such as Punch? Another possible, but less exciting, theory has it that it derives from an old slang phrase ‘all is bob’ meaning that ‘all is well’, everything is safe. This goes back to the 17th century and it is listed in a dictionary of the time. From the 18th century on, ‘bob’ was also a common name for somebody you didn’t know. Though these may have contributed to the genesis of the phrase, there seems little reason to connect them to ‘Bob’s your uncle’ other than that they both contain the word ‘bob’. The third possible source is the music hall. There is record in a newspaper of a musical revue at the King’s Theatre in Dundee, Scotland, called Bob’s Your Uncle in June 1924. And the expression was in the lyrics of a song Follow Your Uncle Bob published in 1931, which was sung and recorded by Florrie Forde, a celebrated music hall artiste. Though we can’t be sure, given the difficulty with the first two, this classically English expression may well be Scottish, and derive not from 10 Downing Street but from Dundee. The rear gun turret of a RAF bomber of the Second World War. The turret was made of Perspex and metal, and could rotate through 180 degrees. Once in the turret at the beginning of a mission, the gunner stayed there until the aircraft returned to base. Likewise ‘Tail-end Charlie’ is not heard much these days. 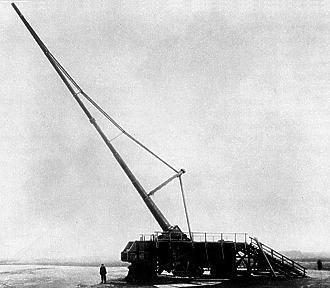 It referred to the gunner that was in a gun turret at the rear of RAF bomber aircraft in the Second World War. 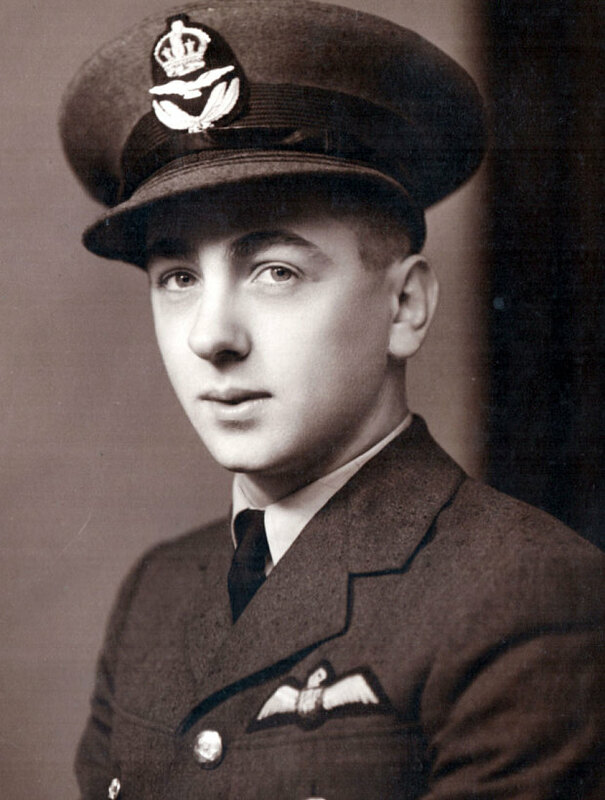 He had the unenviable role of being holed up in the ‘tail’ of the bomber for up to ten lonely hours fighting intense cold, scanning the sky’s for enemy aircraft attacking from the rear. 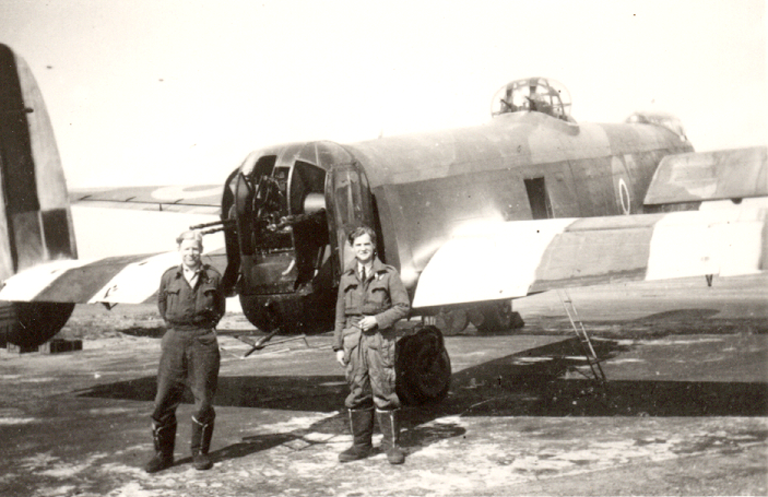 The rear-turret gunners were in the most vulnerable position on the plane. 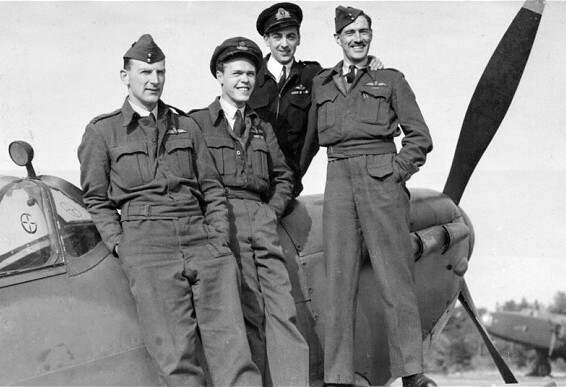 The life expectancy of a Second World War rear gunner varied but was never high, mostly about just five sorties (missions).